Do you need Grenada citizenship for investment? Hurry up, so as not to please the queue! Did you know that wealthy people are increasingly looking at Caribbean Grenada not as a resort destination for high-quality recreation, but as a place for obtaining quick and simple citizenship for investments and for obtaining simplified access to the US using a Grenadian passport? In light of this, experts recommend applying for Grenada citizenship for investment in 2019 in order not to please the queue. The queue of people who want to get US green cards on an EB-5 investor visa has lengthened in recent years. So, in 2014 there were 96 of them, in 2015 – already 238, and in 2017 – 491. But the delays in the consideration of applications for investor visa EB-5 also increased. Therefore, these investors began to look for alternatives. To obtain a green card in the United States using the EB-5 process, an investment of $ 500,000 plus an additional $ 80,000 in legal fees is required. The duration of obtaining a green card through this program is already almost two years and continues to grow. Grenada allows you to speed up the process of applying for a US residency by opening up your citizens to an E2 business visa in the US, which is issued much faster than an EB-5 green card, and also requires less investment. To get a Grenada passport, you need to donate from 150,000 to the National Transformation Fund of the Caribbean jurisdiction or buy Grenada real estate for $ 350,000 (+ state fees). You can then invest in the US as little as $ 100,000 and get an E-2 US business visa. 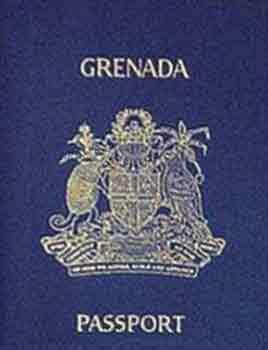 Getting a Grenada passport takes about four months. A subsequent move to the United States on an E-2 visa takes approximately two months. The difference with the EB-5, both in terms of price and in terms of speed, is quite obvious. The number of people who know this workaround, continues to grow. Nearly 4/5 of these investors also issued business visas to the United States, using Grenada as an intermediate point on their immigration route.